You can make this ahead by prepping all the ingredients in a gallon zipper bag and freezing. It also reheats really well, so making a day or two ahead also works well. Either way, you end up with a flavorful meal when it’s done. 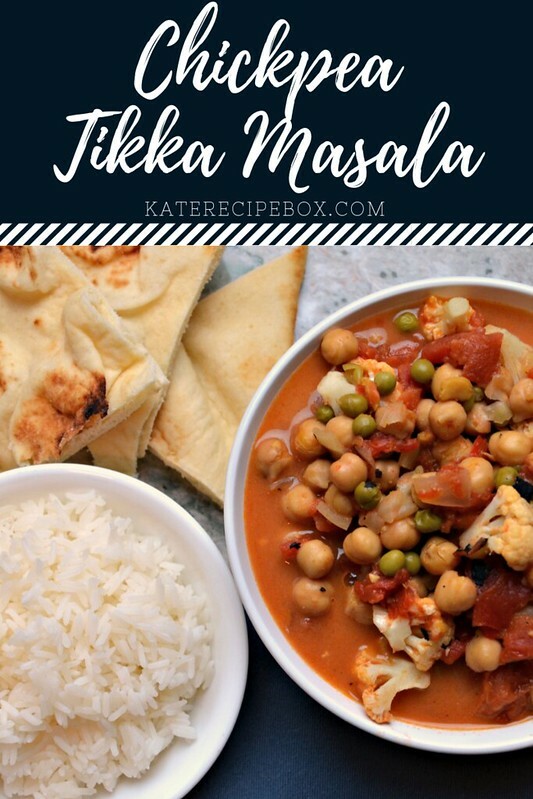 Serve with rice or naan to soak up some of that delicious sauce! 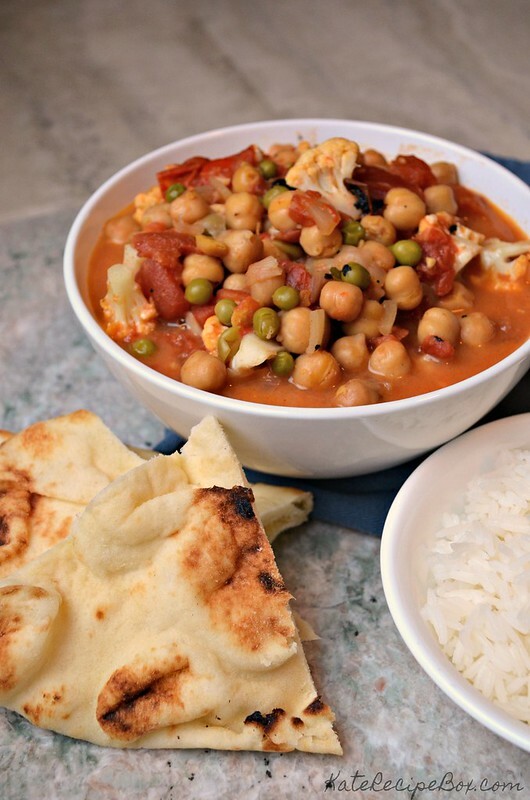 This was Julie’s favorite meatless meal of the whole series – she had thirds the first night we made this, and then ate leftovers for lunch the next two days! In a slow cooker, stir together everything but the cauliflower and coconut milk. Cover and cook on low for 7-8 hours. A half hour before serving, stir in the cauliflower and coconut milk. Continue cooking, uncovered, for the remaining 30 minutes.